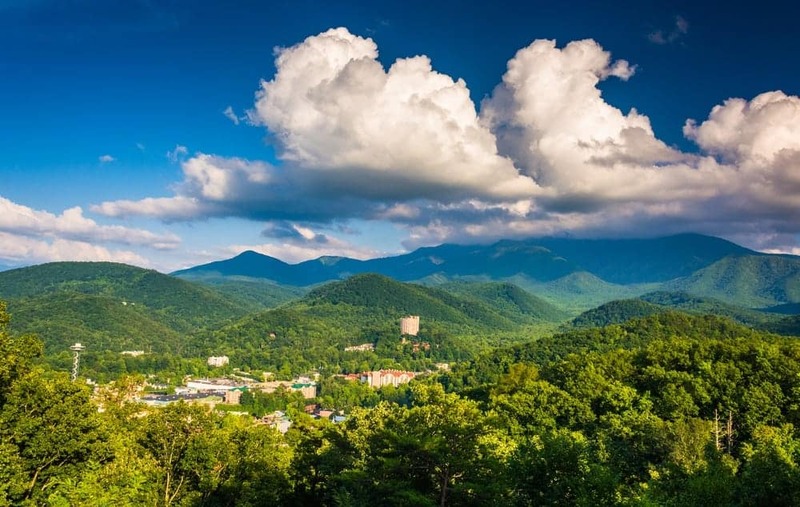 This one might seem pretty obvious given Gatlinburg’s proximity to the Great Smoky Mountains National Park, but that is exactly the reason it tops our list of can’t miss things to do in Gatlinburg Tennessee. The spring and summer seasons offer a variety of natural activity throughout the park, and what better way to enjoy it than by taking on one of the Smokies’ hiking trails? With more than 850 miles of hiking trails and difficulty ranging from easy to strenuous, trail choices are endless and sure to be rewarding no matter which you decide on. While no two lists of “best hikes” are alike, if you’re new to the Smokies and want to make sure you’re able to see some of its most beautiful offerings, be sure to check out Andrews Bald (easy, 1.7-mile hike with breathtaking views), Abrams Falls (moderate, 5.2-mile round-trip to a gorgeous, rushing waterfall) or Gregory Bald (strenuous, 5.6-mile, 3,000 foot climb with gorgeous views and flame azalea blooms in June). Another great way to enjoy the outdoors is through cycling! You can bring your own bike or rent one at the Cades Cove Campground Store and then head out and enjoy the beauty of the Smokies on the 11-mile Cades Cove loop. Other areas safe for cycling include Greenbriar and Treemont, as well as the short biking/walking paths of the Gatlinburg and Oconaluftee Trails. Safety should always be taken into consideration, as many of the areas used for biking are shared with motorized vehicles, and helmets are suggested for all riders, but required for those 16 and under. Many of the typical things to do in Gatlinburg Tennessee only allow you to enjoy the Smokies from the ground, but ziplining offers you the unique chance to see the grandness of the Great Smoky Mountains National Park from the air! Located across the street from the national park, CLIMB Works Smoky Mountains is a great choice for your ziplining adventure! They offer 9 different zipline courses overlooking the Smokies, sky bridges and a surprise ending. This 2.5 hour adventure is sure to provide spectacular views of the Great Smoky Mountains National Park, as well as the opportunity to see some wildlife along the way. Last but not least, head to Sugarlands Riding Stables and conquer the mountainous terrain of the Great Smoky Mountains National Park on horseback! Choose from either a 4, 6 or 8-mile ride, led by one of their expert tour guides, and experience the Smokies from the back of a horse selected especially for you. The natural beauty of the land will come alive as you ride through the wilderness of the Smokies and don’t be surprised if you run into a few friendly critters as you make your way through the mountains. No matter how you choose to enjoy the outdoors, there are plenty of exciting things to do in Gatlinburg Tennessee! Check out our Gatlinburg cabin rentals and book your nature lover’s retreat today!